The World Sparrow Day is observed annually on 20th March to spread awareness about the house sparrow as well as to educated people about the threat to their population. The Theme for this year’s World Sparrow Day is “I love sparrows”. In the year 2010, the first World Sparrow Day was celebrated and in the year 2012, a campaign “Rise of Sparrows” launched by Delhi Government aimed at conservation of House Sparrow and also declared as ‘state bird’ of Delhi. The Centre has given its consent for changing the name of a village in Nagaland, taking to nearly two dozens the number of name-change proposals, including those of towns and railway stations, to be cleared in the past one year. The ODL Mangkhi village in Tuensang district of the northeastern state will be known as Mungankhun village. Integral Coach Factory (ICF), the rail coach manufacturing factory at Chennai, which became famous for manufacturing Train 18, has become the single largest rail coach manufacturer in the world surpassing top Chinese manufacturers. The manufacturing facility of Indian Railways in Chennai manufactured 2,919 coaches from April 2018 to February 2019 against 2,600 coaches manufactured by top Chinese manufacturers.ICF has set a target to manufacture 3,200 coaches in this financial year 2019. Integral Coach Factory in Chennai, Tamil Nadu, was established in 1952 and is owned and operated by the Indian Railways. Google has unveiled its Cloud gaming service called Stadia at the Game Developers Conference (GDC) in San Francisco. Google CEO Sundar Pichai introduced the Stadia service during a special keynote at the GDC. Kazakhstan President Nursultan Nazarbayev resigned from his position after nearly 30 years in power. Nazarbayev, 78, who has led Kazakhstan since its independence from the Soviet Union, announced his resignation. 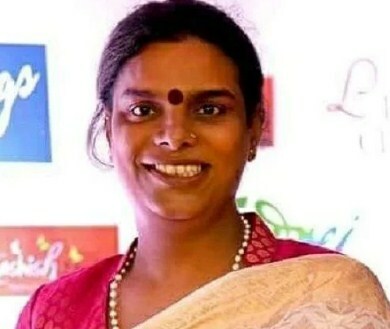 The Election Commission of India has appointed transgender social activist Gauri Sawant, as one of the 12 election ambassadors from Maharashtra. During 2004 and 2009 Lok Sabha elections there was no record of transgender voters. Following the Supreme Court order, transgenders got the right to vote for the first time in 2014. In 2014, 918 voters were registered in this third category. This number has doubled in five years and now it is 2,086. The Norwegian Academy of Science and Letters named U.S mathematician Karen Keskulla Uhlenbeck as the winner of the 2019 Abel Prize. Named after 19th Century Norwegian mathematician Niels Henrik Abel, the prize is awarded to laureates who have made extraordinary contributions to the field of mathematics. She is the first woman to be awarded this top honor in mathematics, which will be presented to her by His Majesty King Harald V at an award ceremony in Oslo, Norway on May 21. Organisers of the Tokyo 2020 Olympics unveiled a cherry-blossom shaped torch for the Games as the city prepares for the famed flower season to begin in coming days. India defeated Bangladesh and have entered the final of 5th South Asian Football Federation, SAFF Women’s Championship.